Wetlands perform vital ecosystem services that support an array of life, including us! Wetlands are aquatic areas with attributes of terrestrial land (i.e., dry land). They are neither completely terrestrial nor completely aquatic. They get too wet for most terrestrial vegetation and tend to undergo wet and dry cycles due to fluctuating water levels. They are seldom covered with enough water to prevent rooted aquatic plants from reaching the water surface. Some wetlands form boundaries between uplands and deep water areas, such as lakes and rivers. Other wetlands evolve where deep water areas are receding (due to water diversions, withdrawals, or climate change) or where uplands are getting wetter (due to impoundment, irrigation, river migration, or sea level rise). Some wetlands stay wet all year every year, whereas others are seasonally wet, and some only get wet during major rainstorms and floods. Because of these considerations, wetlands are regarded as transitional areas located in between completely aquatic areas and uplands. Every California landscape has wetlands. They form where rainfall or runoff accumulates, or where groundwater saturates the topsoil. There are wetlands associated with desert playas, washes, and oases. Mountains and valleys have wet meadows, bogs, fens, sag ponds, vernal pools, and other kinds of wetlands along the shores of lakes, reservoirs, and ponds and on floodplains. The coastal landscapes have tidal flats and tidal marshes. Wetlands have been constructed to treat waste water and prevent shorelines from eroding. Many parks, nature preserves, agricultural lands, and private lands have wetlands that are carefully managed for waterfowl and other wildlife. The likely functions and services of a wetland can be predicted based on its location, size, ecological characteristics, water source, and how it is managed. In other words, wetlands can be classified based on these various factors, such that the classes represent different sets of likely functions and services. The classification system most widely used in the U.S. was developed by the U.S. Fish and Wildlife Service (USFWS) to assess national changes in wetland acreage. The “Cowardin system” is hierarchical and each wetland type has many subtypes. It emphasizes structure and form more than location or function. • Palustrine – Playas, ponds, wet meadows, etc. • Riverine – Streams, rivers, canals, etc. Wetlands are celebrated world-wide for the many services they provide. They help regulate climate, store surface water, control pollution and flooding, replenish aquifers, promote nutrient cycling, protect shorelines, maintain natural communities of plants and animals, serve as critical nursery areas, and provide opportunities for education and recreation. No wetland provides all these services, and the level of any service varies among wetlands. The location of a wetland, its size, shape, source of water, ecological characteristics, and how it is managed determine the kinds and levels of service it can provide. For example, many interior wetlands require active management of water levels, often difficult to obtain due to supply demands, which in turn can dramatically affect the level of service. To provide flood control, a wetland must exist within reach of flood waters. To replenish aquifers, wetlands need to retain rain or runoff long enough for it to permeate the ground. Many factors affect the level of service that a wetland provides. Service levels naturally depend on rainfall and flooding. They also depend on how the lands around the wetland are used. Wetland services have not always been appreciated. Throughout most of recorded world history, wetlands were regarded as wastelands and problem areas to be drained or filled. Wetlands tend to form on flat lands that are easily developed if adequately drained. Most of the wetlands that existed in California at the time of statehood were lost within the following hundred years. Increased protection for wetlands and the growing effort to restore them is due to increased appreciation for their services to society. Below are some additional explanations of the major services that wetlands provide. Wetlands help prevent flooding by temporarily storing water, allowing it to soak into the ground or evaporate. This temporary storage helps reduce peak water flows after rainstorms by slowing runoff into streams, rivers,lakes, and bays. 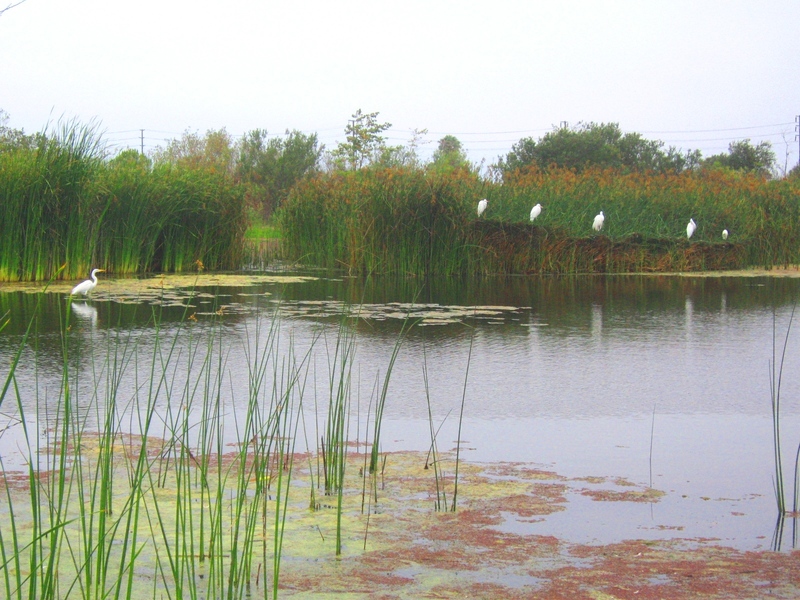 Wetlands improve water quality by filtering waterborne sediment, nutrients, pesticides, and bacteria. Pollutants are broken down by biological and chemical processes within the wetlands. By trapping sediments, wetlands help protect aquatic resources from excessive sedimentation. Some wetlands slowly release water into the ground, replenishing aquifers. These aquifers provide water for farms and people, and can extend the period of stream flow from the wet season into the dry season. 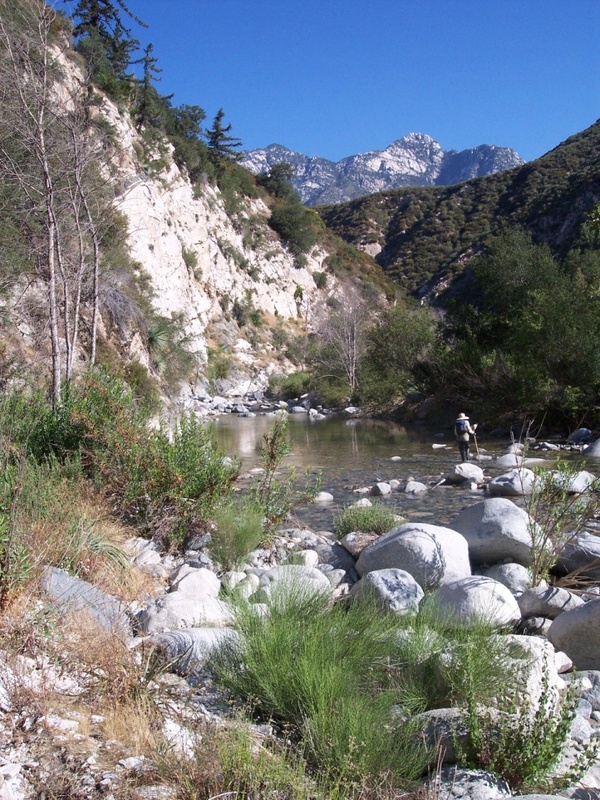 In many regions of California, having streams flow during spring and summer is essential in meeting the water requirements of wildlife and people. Many wetlands are prone to wet and dry cycles that promote the decomposition of organic matter and the recycling of nutrients back into wetland vegetation, the foundation of many food webs. Wetland vegetation helps protect shorelines and stream banks by increasing their resistance to erosion, dissipating waves and boat wakes, flood protection, and reducing the velocity and turbulence of nearshore currents. This is a highly valued service because it helps protect flood control levees and other shoreline infrastructure which could act as a natural buffer against sea level rise. Some riparian wetlands help reduce flooding of inland systems. Although most of California’s historical wetlands have been converted to other land uses, the remaining wetlands comprise a large portion of the state’s natural heritage. Because they are a blend of terrestrial and aquatic characteristics, wetlands are biologically diverse and provide critical nursery areas for many species of birds, fish, and invertebrates. They are an essential component in the early life cycle of a large number of species (e.g., one study for the Clean Water Network found that wetlands are essential to three-quarters of the nation’s fishery production) and many of the state’s identified listed species or species of special concern are found only in wetland habitats. When all California wetlands types are considered together, they support more species of plants and animals than any other type of habitat in the state and are the most important stop-off along the Pacific Flyway for millions of migratory birds. Many of California’s wetlands have been identified as “Important Bird Areas” by the National Audubon Society (www.audubon.org). San Francisco Bay has been designated as a site of hemispheric importance, the Grassland Ecological Area and Sacramento Valley as sites of international importance, and the Salton Sea as a site of regional importance for shorebirds under the Western Hemisphere Shorebird Reserve Network (www.whsrn.org). In addition, many California wetland areas are protected under the National Wildlife Refuge System Improvement Act, helping to preserve the diversity the state’s wetland biodiversity. Wetlands provide abundant opportunities for hunting, fishing, nature photography, outdoor environmental education, and the enjoyment of open spaces. The ecological diversity and high productivity of wetlands make them one of the most scenic features of any landscape. Wetlands are considered among the most productive habitats in the world, comparable to rain forests and coral reefs. One recognized benefit of wetlands towards climate control is their ability to transform large amounts of carbon dioxide into plant tissue, then into soil humus, thus helping to control climate change.